The Vermont State Parks have been taking strides to make our campgrounds and facilities more accessible to visitors with varying needs. 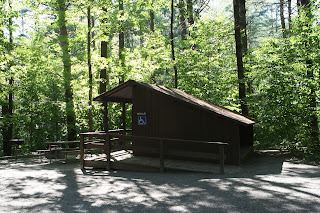 Many of our pavilions and picnic areas are universally accessible and we're doing more every day to increase trail and water accessibility as well. One of our current projects is taking place at Waterbury Center State Park, where we are linking the parking area, swimming beach, and picnicking areas with ADA accessible paths! Searching through our system to locate accessible campsites and activities can be challenging, so we've compiled a brief list to make it a little easier. One thing to keep in mind when looking through our interactive campground maps is that any site listed as "universally accessible" is within 150 feet of drinking water, toilet facilities and showers. We go together like pageantry and parks! 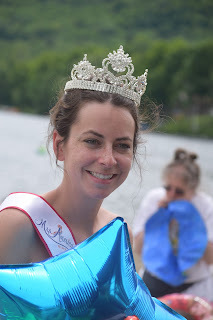 Dorilee LeBlanc, AKA Mrs. Vermont 2015, is building her pageant platform around getting kids outside, active, and re-connected with nature, and we couldn't be happier to help. "There are so many reasons why I love this challenge," says Dorilee. "It encourages folks to get outside and be active; it's free or super affordable; and it creates a bonding experience and goals to reach as a family." Burlington City Arts (BCA), in conjunction with Vermont State Parks, Shelburne Farms and Marsh-Billings-Rockefeller National Historical Park, are pleased to announce Of Land & Local 2015, the 3rd annual statewide exploration of contemporary art. Of Land & Local is an annual multidisciplinary, statewide project designed to initiate a dialogue about issues surrounding art and the environment. New this year is a partnership with Vermont State Parks, which allows artists to be in summer residencies in select parks through August, as well as at Shelburne Farms and Marsh Billings.